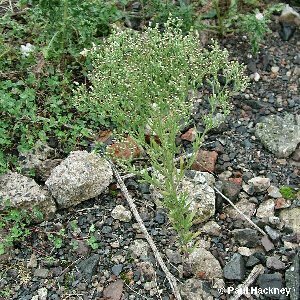 In recent years this alien plant has invaded waste ground in Belfast, such as on the old Ormeau Road gasworks site, where it was very abundant in 2001. 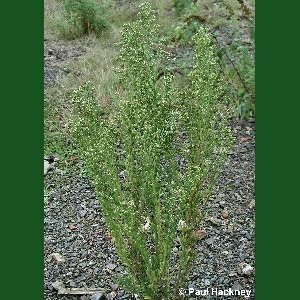 Canadian fleabane (Conyza canadensis) is a similar plant of the same sort of habitat (the two often grow together), but rather less abundant. All names: Conyza sumatrensis (Retz.) E.Walker; Conyza albidus Willd. ex Sprengl. ; Conyza floribunda Kunth. ; Erigeron sumatrensis Retz.